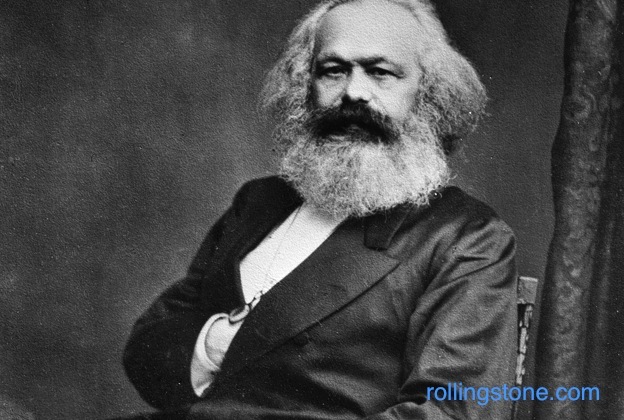 On November 10, 1877, Karl Marx interrupted his work on Das Kapital to write a letter to German journalist, historian, and politician Wilhelm Blos. Neither he nor Engels cared at all about popularity, he wrote. “Let me cite one proof of this: such was my aversion to the personality cult that at the time of the International, when plagued by numerous moves…to accord me public honor, I never allowed one of these to enter the domain of publicity, nor did I ever reply to them, save with an occasional snub.” At that time, little Volodya Lenin was vacationing with his family at their country manor and Joseph Stalin had yet to be born. They were not to have the same aversion. We are at more than a century’s remove from the October 1917 Bolshevik revolution and the phrase “cult of personality” is familiar and often applied. Kim Il-sung, Kim Jong-il, and Kim Jong-un in North Korea have proven you can use multi-generational hagiography to exert absolute control. But no leader can be too sure of what will follow when he is no longer on watch. On February 25 1956, Nikita Khrushchev in his famous “Secret Speech” quoted Marx’s letter to damn Stalin. “It is impermissible and foreign to the spirit of Marxism-Leninism to elevate one person, to transform him into a superman possessing supernatural characteristics, akin to those of a god. Such a man supposedly knows everything, sees everything, thinks for everyone, can do anything, is infallible in his behavior.” Five years later, Stalin’s embalmed remains were removed from the mausoleum, but Lenin’s stayed firmly put as did his cult. The Soviet Union might have been the first in the 20th century to utilize political canonization, but even the USSR’s arch nemesis, the United States, has not been immune to the draw of the political godhead (Exhibit A: Ronald Reagan). Political canonization deliberately creates an overwhelming presence in a society and invests enormous (albeit manufactured) meaning in everything and everyone attached to him (and to date it is always a “him”). That makes it extraordinarily difficult for citizens to have any perspective on the relative costs of cult maintenance, to say nothing of the impossibility of public debate. How long can a cult of personality be maintained by those benefitting from it? How does a citizenry form an image of society without it? 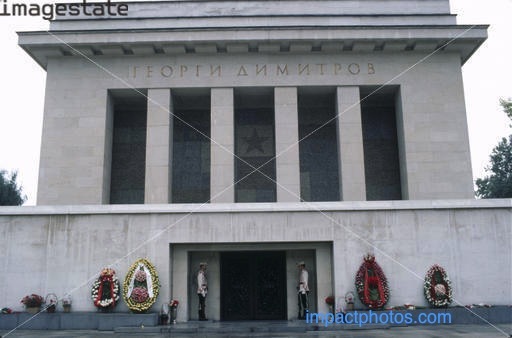 When my husband was a young boy in then People’s Republic of Bulgaria, he was taken to visit the mausoleum of Georgi Dimitrov. Very likely, he had his picture taken in front of it. Visitors to the capital Sofia often had their photograph taken there and foreign delegations made sure to put a wreath on the pristine white marble building. I must have passed it in 1987 on my first visit to Bulgaria, but I don’t remember. 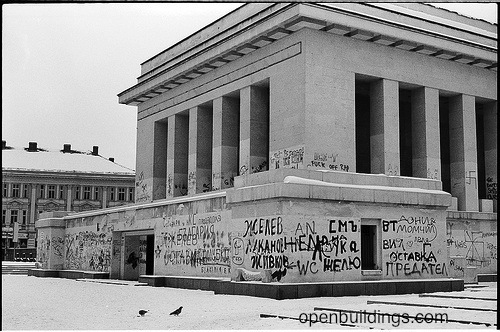 By the time I was in Bulgaria again, it was 1991, the communists no longer exercised absolute control, and the mausoleum had been gleefully defaced by graffiti. Georgi Dimitrov had left the building. But Georgi Dimitrov had fit the bill of political godhead admirably. He had impeccable working class roots, was himself a worker, joined the Social Democratic Labor Party of Bulgaria at the age of 21, and was still active when that party affiliated itself with the Bolshevik cause and became the Bulgarian Communist Party (BCP). For his revolutionary activities, Dimitrov was forced to flee Bulgaria and wound up in the Soviet Union. He was part of the international delegation that escorted Lenin’s coffin from Gorky to Moscow in January 1924. 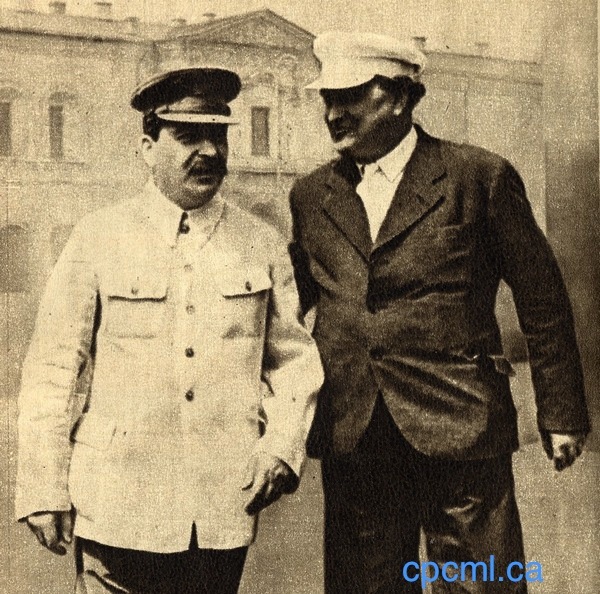 Five years later, Stalin sent him to Germany where in 1933 Comintern operative Dimitrov was accused of burning the Reichstag to the ground. His star burned all the brighter, and on an international stage, for the accusation. Whatever the actual origins of the fire were, it served wonderfully to consolidate the for us or against us fundamental conflict and propaganda between facism and communism. The communists used facism (and until the end of World War II, the other way around) as the demon bogeyman forever lurking not only at the borders, but even in the hearts and minds of perhaps your next door neighbor. That dichotomy made it seem all the more unthinkable to question the system and the personality dominating it—it was all that kept the wolf from the door. But it is hard to discern much difference in these two cruel dictatorial systems in terms of the lives of citizens living under them. 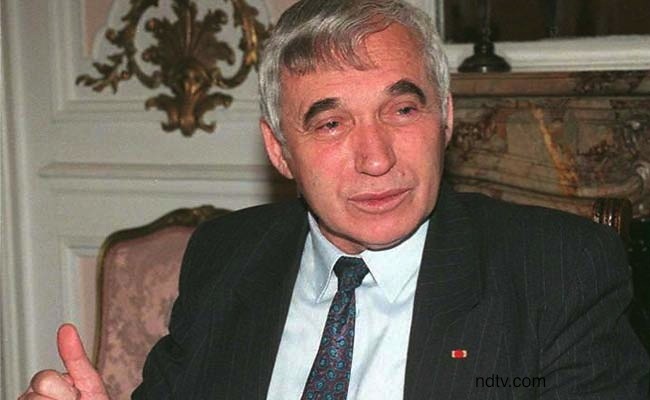 Years before he became Bulgaria’s first democratically elected president, philosopher and dissident Zhelyu Zhelev published The Fascism, a book that disappeared from Bulgaria’s bookstores and libraries within three weeks of its publication. 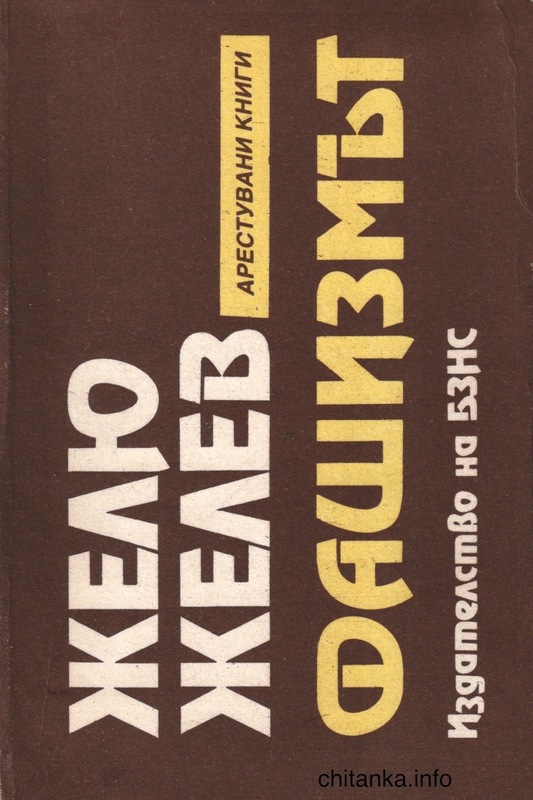 The communist authorities’ insistence on banning the book resulted in the scholarly, over 300-page work being widely read in underground samizdat versions in Bulgaria as well as translation into ten languages that garnered it international attention. The Fascism ostensibly analyzed five elements of fascist political systems (of which a single party state with a strong personality cult is one), but the likeness to communist political systems and states was strikingly clear to Zhelev’s readers. The fascist Nazis exploited the Reichstag fire. They highlighted its purported role in a communist strategy to overthrow the German government and then decreed a state of emergency that effectively took away all rights and freedoms in Germany and established absolute Nazi control of the country. Adolf Hitler himself, of course, was a master in understanding the power of the personality cult; the universality of the Hitler salute being only one powerful example. Dimitrov was arrested and the Leipzig Trial that followed made him a communist hero and an even greater asset to Stalin when Dimitrov was allowed to leave Germany for the Soviet Union. Bulgaria’s response was to deprive Dimitrov of his citizenship.